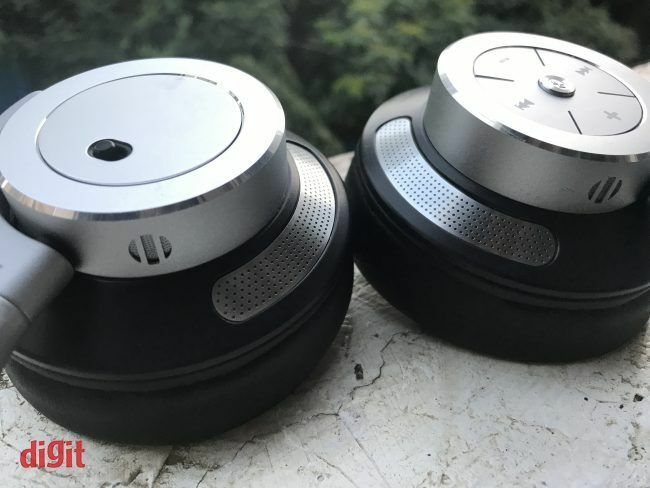 The ELEA 4213 checks a lot of right boxes - ANC on a budget, metallic sturdy build, considerable battery life and good bluetooth performance. However, its metallic build weighs it down in terms of comfort, and the build could overall go with better material choice in the non-metallic areas. 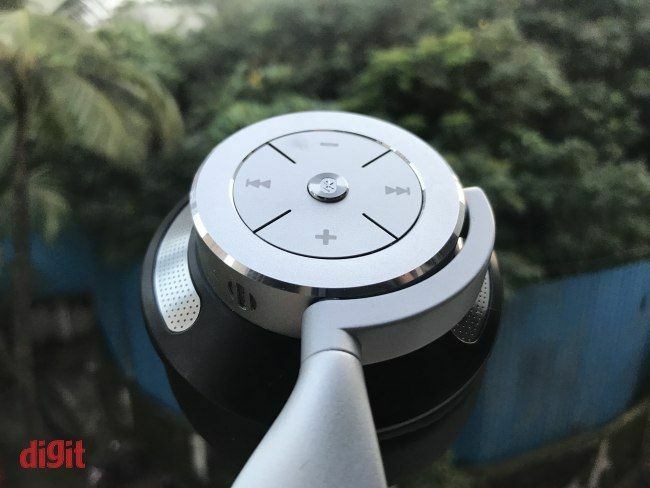 Audio performance is quite satisfactory for those looking for a unit inclined towards the brighter side of the spectrum, but won’t disappoint most. A common con that comes with most wireless headphones is the lack of proper design. Even if the build incorporates features that make a particular unit portable, there’s a chance that the materials used would be cheap, and at the very least, would make the headphone feel cheap and flimsy as well. 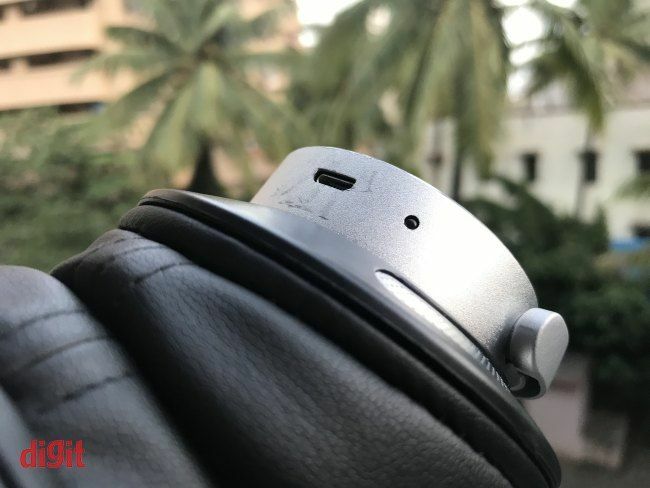 However, there’s a thin line to tread here - since going for robust metallic materials for the build can also make a bluetooth headphone unwieldy quite easily. Either decision can also affect your listening experience in significant ways, especially if you like to push your headphones to the limit. 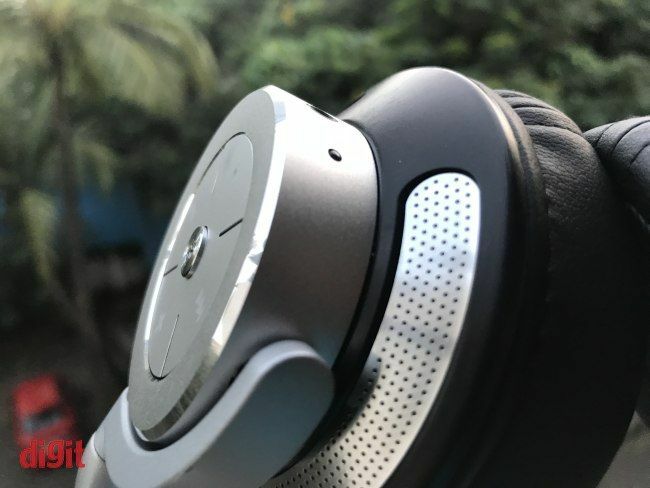 Eleon, consumer electronics retail chain Tata Croma’s exclusive audio brand, attempts to get it right with the ELEA 4213. Does it fare well on these factors and more? Let’s find out. The ELEA 4213 goes for a metallic design, compared to its all plastic counterparts like the JBL E55BT. However, don’t let this tell you that the design is all metal - the material used for the build is still majorly plastic. The yoke as well as the can enclosure is metallic, which adds a certain bit of weight to the build. For a wireless headphone, that is almost never a good thing and the ELEA 4213 is no exception. 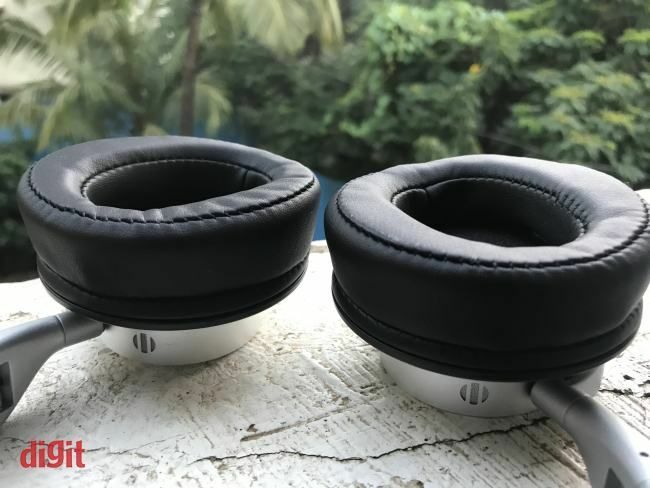 You’ll definitely feel a tug when its slung around your neck, not in use, and after extended periods of usage, there’s an unmistakable sense of relief when you take the headphones off. The buttons on the ELEA 4213 are the standard set. Playback and pairing buttons are placed flat on the face of the right can and the ANC slider is on the face of the left can. There’s dedicated buttons for volume controls and track changing. All the buttons are made of plastic and feel clicky, but are quite easy to reach and get used to. However, since they’re absolutely flat, there’s no way to distinguish between the volume and track change buttons just by touching them. The clamping force on the ELEA 4213 is not too much, but it is more than lighter counterparts like the E55BT which is required due to its additional weight. The foam padding on the headband and the ear cups is also quite adequate, however, the quality could have been better. There’s significant pinching on the faux leather fabric that covers the headband and the earcups. 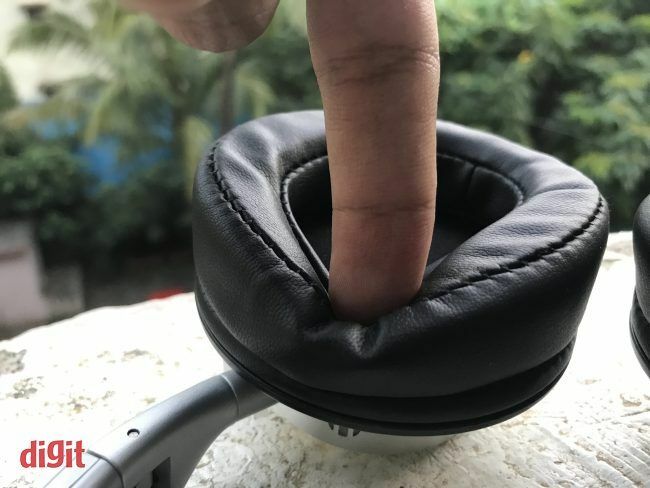 The ear cup foam itself feels cheaper and has flimsy stitching that could be prone to tearing if you do not use its included hardcase before putting it into your backpack. On the other hand, due to the inclusion of metal in the build, these units are capable of sustaining more stress than usual without showing signs of strain, or emitting creaks. 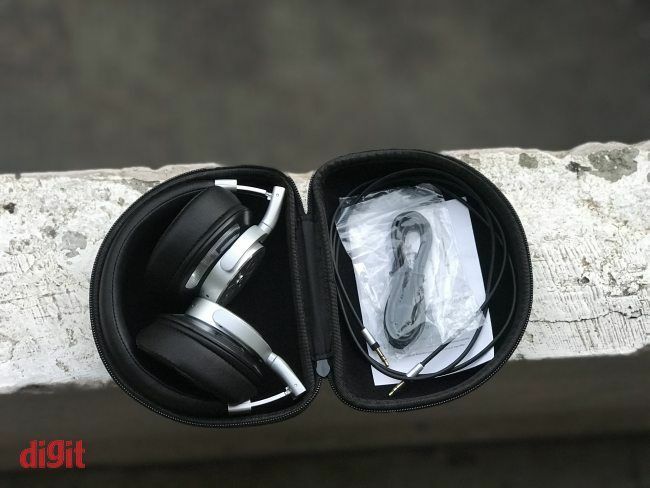 Out of the box, you get a carrying case as well as a micro-USB charging wire and an AUX cable. The AUX cable is quite standard and comes at 1.2 metres long, which should be more than enough for most use cases. 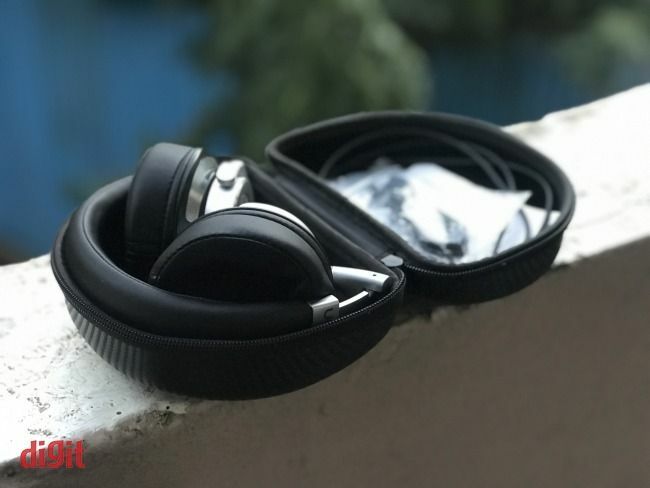 While the case itself is hard enough for regular usage, don’t expect it to tackle extreme pressures and keep your headphones safe inside at all costs. 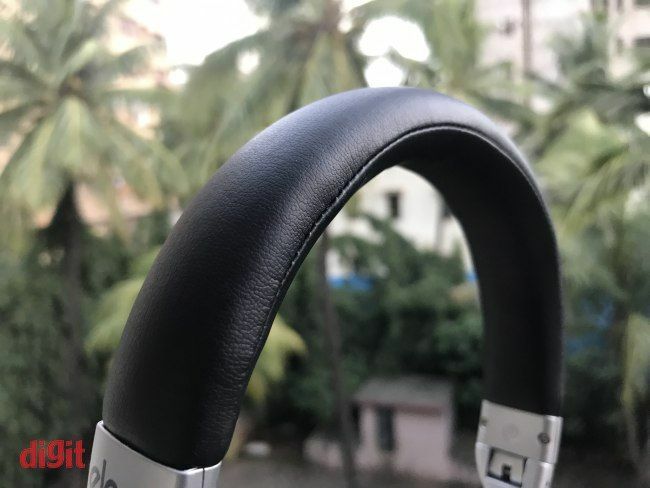 One of the first things that makes the Eleon ELEA 4213 stand out from its peers is the inclusion of Active Noise Cancellation. 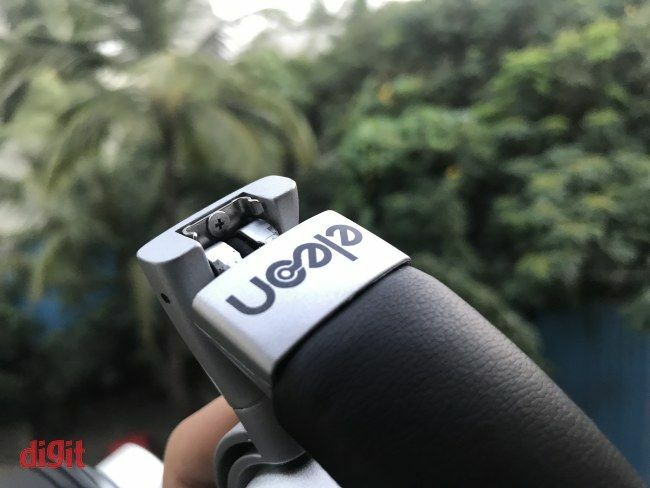 Activated by a slider on the face of the left ear can, it makes its presence felt even when you’re not using the headphone for listening purposes. When it comes to performance, the ANC will feel suffocating to people not used to headphones with this tech. 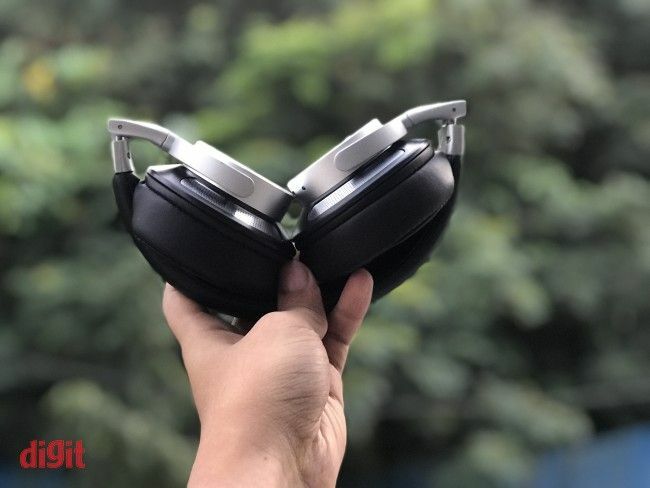 The ANC performance is quite satisfactory, however, it doesn’t manage to block out ambient noise like that of an air-conditioner immediately behind you or a noisy PC setup completely. It does dull it down enough to make it ignorable. You also get 3.5mm connectivity with the ELEA 4213. The performance in this mode, however, is not at par with the Bluetooth performance. You also get connectivity with two devices at the same time. The ELEA 4213 offers a really good audio experience overall. While you might feel that the signature inclines towards the warm side at the beginning, over time it starts to feel more balanced. Especially in comparison to the JBL E55BT, the 40mm drivers of the ELEA 4213 are much closer to neutrality than its bass-punching peer. However, one department where the ELEA 4213 lacks is the power. We often felt the need to push the volume up to as high as 90% to get some of our favourite songs to deliver their expected punch. The audio performance of the ELEA 4213 really shines through on tracks like Pull Me Under by Dream Theater, where a high density of instruments can easily showcase the inability of headphones to handle complex layering. Mids are also quite prominent without the cost of other frequencies. Tracks with prominent vocals like Chris Rea’s Call On Me sound really balanced, with just the right amount of clarity on Rea’s vocals. The headphones are quite adept at reproducing detail as well, as is evident on tracks like Choti Si Asha from Roja. Another point that can be praised about the ELEA 4213 is the way it handles the highs. There is some amount of rolling off that happens at the extremes, but Kavita Krishnamurthy's vocals on Tu Hi Re from Bombay never lose their melody or brightness. A weak portion of ELEA 4213’s performance is on tracks with lower frequencies, like most pop, hip-hop tracks. Tracks like Uptown Funk by Bruno Mars and Magenta Riddim by DJ Snake lack punch and sound. At significantly lower frequencies, the lows begin to crackle and rumble. This is further emphasised if you turn the ANC on. Speaking of ANC, the performance during ANC is quite satisfactory. 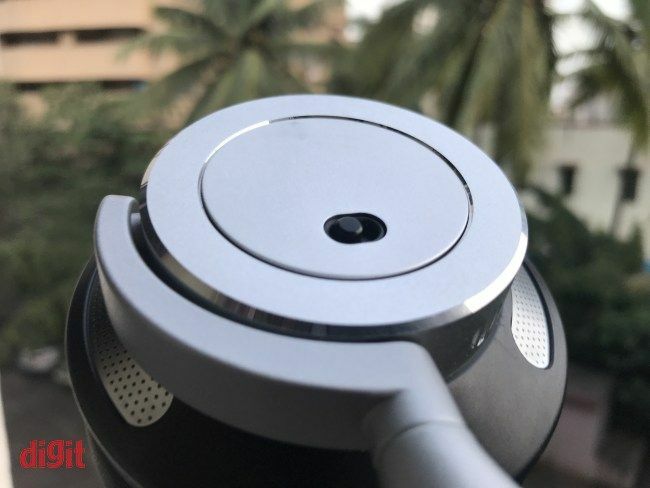 Although it immediately shrinks the already limited soundstage quite significantly, it did manage to dull down if not completely remove most sounds in the environment even in testing situations like peak hour traffic on Mumbai roads. In a standard office environment, the ANC mode is almost seamless - that is, once you get used to the accompanying suffocation. The isolation is also pretty good on these headphones, there’s almost no leakage to your neighbours. 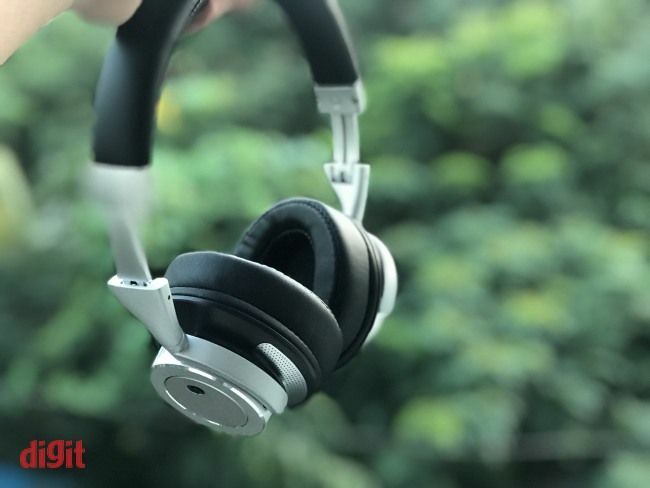 The Eleon ELEA 4213 is a good pair of wireless headphones. Considering the price point it is being sold at, it’s a wonder that it comes with ANC. But as a result, it is evident that design decisions were taken that involved cost cutting on the materials. A heavier build makes it a bit unwieldy, however, it also brings a metallic sturdiness to the design that isn’t present in most peers. The audio performance on the ELEA 4213 is better than expected but could do with a bit of punch in the lower frequencies. The hard case is definitely a plus, and so is the 10 hour battery life with ANC enabled. Go for it if you want ANC on a budget but do not expect a flawless performance.